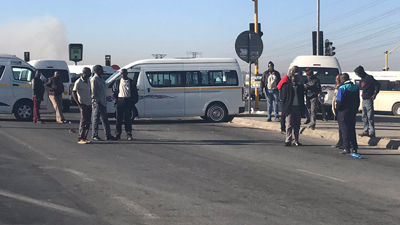 Gauteng Roads and Transport MEC, Ismail Vadi, says he has not taken a decision to lift the closure of ranks and routes operated by warring Soweto taxi associations WATA and NANDUWE. He says for now the ranks and routes will remain closed. The National Taxi Alliance says they’ve handed over a document to Vadi’s office in which the two associations agree and commit to stop the violence. They’ve also agreed to set up a joint committee comprising officials from both associations to monitor operations on a daily basis. Vadi says he has not been fully briefed on the contents of this document. The post Vadi says no decision made to open taxi ranks appeared first on SABC News – Breaking news, special reports, world, business, sport coverage of all South African current events. Africa's news leader..